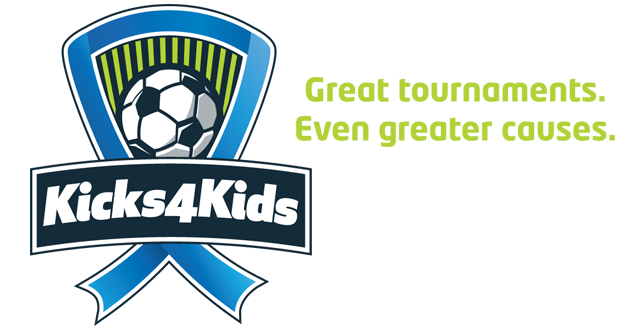 Not only had the Kicks4Kids brand become outdated since their inception in 2000, they were currently facing competitive pressure from many area youth soccer tournaments every weekend from spring through fall. Coupled with this challenge was the goal to add more tournaments to expand their capacity and provide support to more causes. They needed to find a competitive edge to attract youth ages 12-17 and adult coaches to join their two annual tournaments and support their causes. The Shoestring Agency’s review of the organization’s marketing plan along with our specialized brand audit process helped lead the strategic and research phase of the new Kicks4Kids brand. After reviewing competition brands, a new creative identity was developed that merged a professional soccer team feel with a universal charitable symbol — giving the organization not only a great new look but also positioning them as unique to to their nonprofit focus. In addition, the tagline “Great tournaments. Even greater causes.” was created as part of a full rebranding package. This work was achieved by working with an all-volunteer team at Kicks4Kids, consisting of board members. All proceed from Kicks4Kids tournaments support local charitable causes.